LAHORE: Educational institutions in the provincial capital marked Defense and Martyrs Day with full zeal and enthusiasm on Thursday. 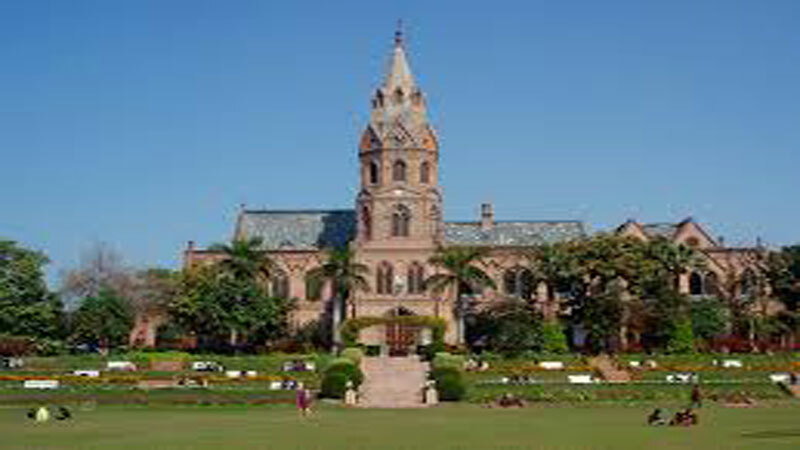 Ceremonies including seminars, walks and talks were organised at universities, colleges and schools in which speakers shed light on the sacrifices of Pakistan Armed Forces who lost their lives while fighting against India in 1965. The Government College University (GCU) Lahore paid tribute to martyrs by decorating its buses with pictures of soldiers who have given their lives for the country. GCU Vice Chancellor Professor Dr Hassan Amir Shah said Pakistan was a peace loving nation and it never preferred war but they believed in dignity and honour and kept its defense strong to ensure their liberty and sovereignty. He said that the civilians should support their Armed Forces for defense of the country by performing their duties honestly and justly. He also shared his memories of 1965 war and the enthusiasm which the nation had at that time. GCU students also expressed their love for their Armed Forces and chanted slogans in favour of the brave soldiers of Pakistan Army while boarding buses. Speakers at the ceremony said that the Pakistan Army and the nation were indispensible and no one could dare to look at us with bad intentions. Addressing the seminar, former PU VC Arshad Mahmood said that he saw practical implementation of Quaid-e-Azam Muhammad Ali Jinnah’s message of unity, faith and discipline in the 1965 war. He said that “we defeated an enemy which was five times bigger than Pakistan”, adding that Pakistan Army defeated Indian forces on all fronts. Professor Niaz Ahmed paid tribute to the martyrs of Pakistan Army. He said “our Army had achieved unprecedented success in war on terror and no army in the world had such success story to its credit”. He said that Pak Army was the #1 Army in the world and the whole nation stood with it. He further said that our engineers and technologists were also contributing to make our defense stronger than ever. Later, the VC and others visited Yadgar-e-Shohda and laid floral wreaths and offered fateha for the departed souls. The day was also observed at the University of Engineering & Technology (UET) Lahore. In his message, UET VC Professor Dr Fazal Ahmed Khalid stated that Pakistan is a peace loving country and it has the capability to give full response to its enemy through a defensive strategy. He further said that it is the need of modern era to adopt that unity, spirit and sacrifices which were demonstrated by martyrs of that time, so that the world may know that Pakistani nation is not oblivious of its defense. The University of Veterinary & Animal Sciences (UVAS) Lahore observed Defense Day in a befitting manner to pay rich tribute to the martyrs of Pakistan. UVAS Pro VC Professor Dr Masood Rabbani chaired a seminar which was aimed to aware the young generation of the sacrifices of the Pakistan Army and the people for the defense of the homeland. Speaking on the occasion, Professor Dr Masood Rabbani highlighted the sacrifices of our Armed Forces for the defense of the country. He advised students and teachers to excel in their concerning fields and play a vital role for the development of Pakistan.